My Talk is titled “Live Your Values to Find Happiness”. Your values determine the way you think and behave. They show what is alive in you and give you a sense of direction. We often go against our values because of “what is expected of us” from family, friends, or society at large. When we follow advice coming from sources other than ourselves, we end up building resentment because we become/do/have what we do not want. When we go against our values and spend time, energy, and other resources engaging in something that does not match our values, life becomes a struggle, we feel resistance, confusion, and frustration. Learn to align your thoughts, words and deeds to your values and, inevitably, you’ll feel and become happier. 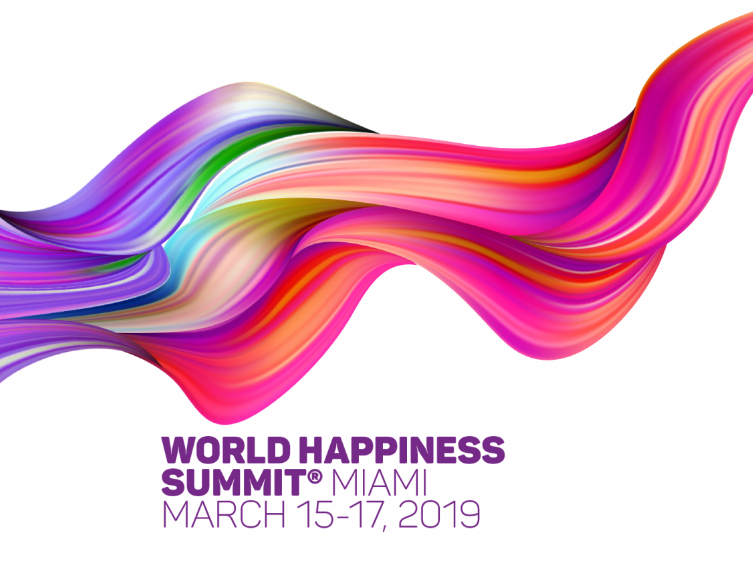 “The World Happiness Summit™, an inclusive event produced and organized by WOHASU LLC, is the first global forum created to expose individuals to the practical implementations of the science of happiness. The Summit unites leading experts in positive psychology, government, sustainability, economics, mindfulness, technology, business and media with the general public to discuss, engage and explore happiness within a holistic format to enhance the well-being of individuals, communities, corporations and society at large. Our signature three-day Summit welcomes over 1,000 people per day from over 30 countries and 40 U.S. states, making the World Happiness Summit a truly global event. Our participants are searching for a transformative experience to explore and share their passion about living consciously and sustainably to create positive mindsets and choose happiness. Besides helping to satisfy intellectual curiosity about the definition of happiness, the World Happiness Summit creates extraordinary sensorial experiences that activate all five senses, taking participants on a highly experiential journey. WOHASU also produces the H-20, an invitation-only government meeting that serves as a platform for civic and business leaders, experts and activists to engage in a dialogue to explore best practices, policies, case studies and challenges around increasing civic happiness and well-being around the world. The H-20 integrates international associations, working groups, government organizations and NGOs who have spent years defining, studying and measuring the levers of happiness, for individuals and organizations, societies and nations.